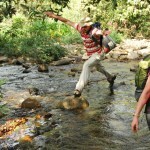 One of the enjoyable parts of the trip was a three-hour trek between two villages — Amanavil and Olulu. This was probably a 10-mile trek and from that you know that there were a lot of ascents and descents. 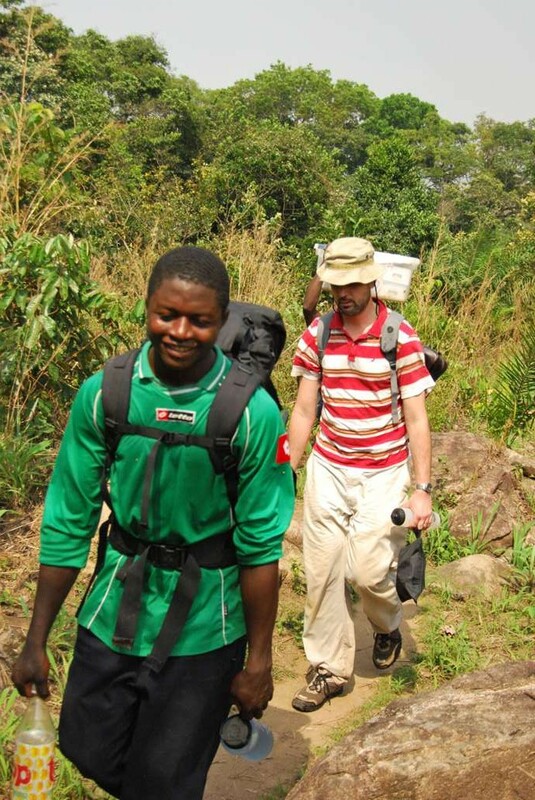 Also, we Americans were not as fleet-footed as the Cameroonians who make treks like this pretty regularly. I think I was in fair shape because after a sustained climb, my breathing and heart rates returned to normal pretty quickly. 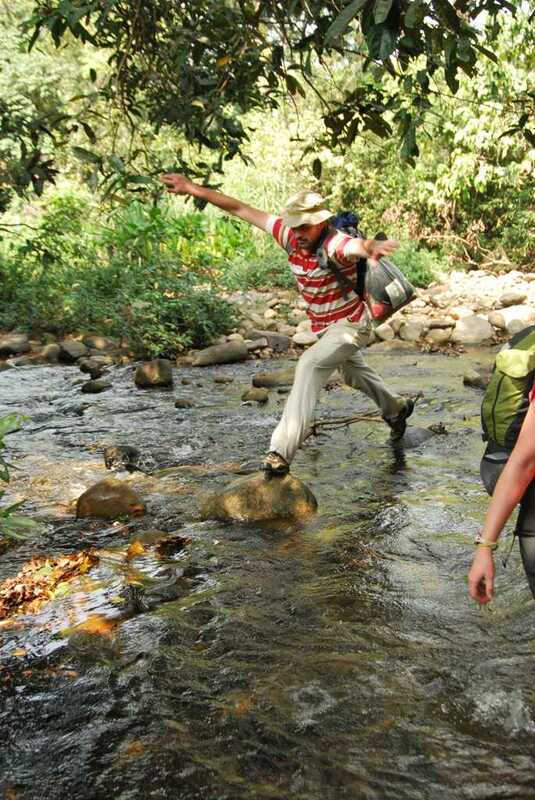 There were a few small rivers to cross and because it was the dry season, you could cross them mostly on stones. There was one, however, where everyone took off his socks and shoes and waded. Tom Mike reckoned he could make the final long double jump and so I told him, I was up for the challenge. He got his legs under him, made the second to last and then the last stone, and then climbed up on the bank. I got my legs under me, made the second to last stone, and though I had the distance, missed the last stone to the left. There were plenty of beautiful panaoramas along the way, but I guess the locals are used to seeing those because they did not stop to take them in. 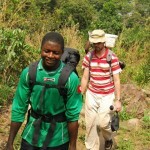 All things considered, the trek was exhausting, enjoyable, and satisfying. Here’s an old axiom. I post it now so it gets back onto this site in the correct category and also since you may have forgotten it and we never want to forget axioms. Pound-for-pound, grep is one of the best programs ever written. What if you could use grep in real life? You could find your remote control, find out which of your dresser drawers has socks, find a car within your price range. Awesome!